Bang out those Christmas tunes, the holidays have come early! Image Courtesy of nortrip via Instagram. As the duck ponds start to ice up around campus and the cold creeps in, it is time to pull out your snood, wrap up warm in your fur lined parka, and hope you can find both your mittens from last year just in time for Christmas. To get you in the festive spirit, here are five ways to have festive fun in Lancaster this year. 2018 marks the first year that Lancaster town centre has an ice rink. The brainchild of Hannah and Martin Horner from The Borough pub, this massive rink will be built in Dalton Square around the statue of Queen Victoria and can host up to 200 people. On the 24th of November you can see skaters from the Laura Sandham School of Dance perform their opening numbers for free! Sulyard Street will be full of festive food and drink stalls to keep the cold out while you watch their performance. Find out more about the ice rink and pre-book your early bird tickets at: www.lancasteronice.co.uk. 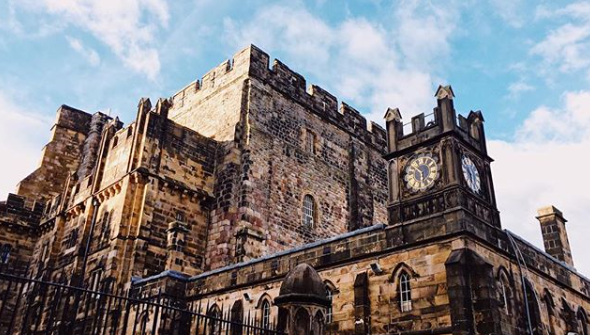 From Saturday the 15th to Sunday the 16th December the castle’s courtyard will be filled with brass-bands, jazz pianists, and Victorian carol-singers! Grab some last-minute presents just before Christmas day at this festive event. With over 30 stalls from local and regional craftspeople selling wood crafts, jewellery, and specialist spirits, there’s something for even the most difficult-to-buy-for friend! Image Courtesy of ku_layrosas via Instagram. The castle is a five-minute walk from the city centre, located just behind the train station. Since 1990 the Cairngorm reindeers have been touring the country in the six-week lead up to Christmas. On Sunday the 9th December they will be setting up stall in Market Square. 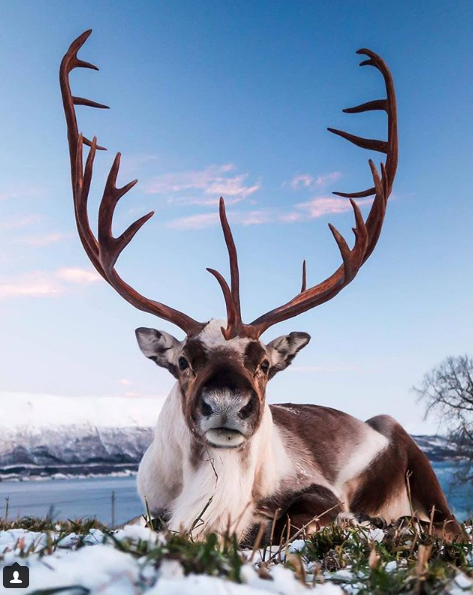 These specially trained reindeers are released back into their natural habitat for the rest of the year after visiting cities throughout the UK. Earn some brownie points just before Christmas by taking your siblings to see the Cairngorm reindeers! No matter which college you’re in, you are invited to the annual Winter Ball! Hosted towards the end of Michaelmas term, this event is packed with Christmas carols, singing, dancing, and good food. Enjoy a three-course meal, a live band, and a DJ at Barker House farm for just £20. Each college hosts their annual ball into the early hours of the morning, so there is plenty of time for festive fun at this yearly event. The annual Santa Dash is back on Sunday the 2nd December this year. This 3km event is hosted by Lancaster University and in partnership with Defying Dementia and the Lancaster Running & Athletics Club. Members from Defying Dementia will be present at the event to accept donations and talk about the work they do over the Christmas season. Nothing says Christmas like giving to others, so make sure to dig deep to give the volunteers at Defying Dementia a festive fundraiser. For just £5 entry you’ll get a Santa hat, a medal, and a mince pie for afterwards. Or wear your own outfit and compete in the best costume competition. Hurry though, because tickets sell out fast! Previous articleChristine & The Queens: "One of the Gigs of the Year"